The Ministry of Skill Development and Entrepreneurship (MSDE) launched Pradhan Mantri Kaushal Vikas Yojana (PMKVY) in the year 2015. This Scheme was further extended in the year 2016. The objective of this Skill Certification Scheme was to enable a large number of Indian youth to take up industry-relevant skill training that will help them in securing a better livelihood. A component for assessment and certification of individuals with prior learning experience or skills was also introduced under the Recognition of Prior Learning (RPL) component of the Scheme. So far, more than 6 lakh individuals have been RPL certified under PMKVY Scheme. To provide opportunities for reducing inequalities based on privileging certain forms of knowledge over others. The proposing entity under RPL is referred to as the Project Implementing Agency (PIA). Additionally, individual entities may be on-boarded by the PIA for conduct for various on-ground activities such as mobilization (Mobilization Agency), counselling, pre-screening and orientation delivery (RPL Facilitator Organization). RPL extends to 2000+ job roles aligned to NSQF provided these are QRC and NSQC approved. Mobilization involves activities related to mobilization of potential candidates who are skilled but uncertified. Potential candidates are counselled about PMKVY, what is RPL, and how the skill certification will assist them in transforming their life. After counselling, a pre-screening test is conducted to ascertain the job role which matches the prior knowledge and existing skill sets of the potential candidates. Pre-screening test involves collection of supporting documentation/ evidences from the candidates and a candidate self-assessment. Assessment of candidates is conducted by the assessment bodies accredited by the Sector Skill Councils (SSCs). Under PMKVY RPL, the candidate is assessed on both Core as well as Non-Core NOSs[ National Occupational Standards (NOS) describe best practices by bringing together performance criteria, knowledge and skills pertaining to a job role. A set of NOSs related to a specific job role is called Qualification Pack (QP). Qualification Pack for every Job Role is pegged at a NSQF Level.] of a Qualification Pack (QP). Core NOSs carry 70% weightage and Non-Core NOSs carry 30% weightage in the total assessment score of the candidate. 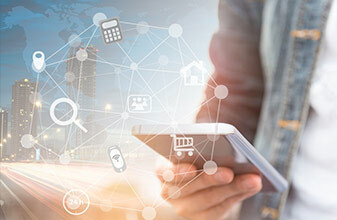 SSCs may choose to conduct offline as well as online assessment depending upon the characteristic of the sector and availability of online modules. 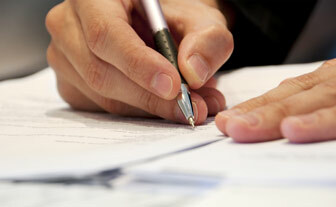 SSC upon approving the result issues the certificate to successful candidate. Pass percentage in the assessment exam for job roles of NSQF level 1, 2, 3 is 50% and for job roles of NSQF level 4 and above is 70%. A candidate who achieves greater than or equal to the pass percentage for a QP is awarded the PMKVY RPL Certificate, Mark sheet and a candidate pay-out of INR500. A candidate who achieves less than the pass percentage mentioned for a QP, but at least 30% or above of the total score, receives only mark sheet and candidate pay-out of INR500. A candidate who scores less than 30% of the total score, shall receive only the mark sheet and be encouraged to undergo Short Term Training under PMKVY. PIA can be any legal entity such as SSC, Industry Association, Training Partner, Government Body, NGO and Corporate, except Assessment Agency. RPL under PMKVY can be implemented via four modes; viz. RPL at Camps, RPL at Employer's Premise, RPL at Centres and RPL with Best in Class Employers. Process of implementation largely remains the same in all four modes. RPL at Camps: PIA targets a particular location where a certain group/ cluster of candidates with particular skill set are consolidated. These can be industrial or traditional clusters. Ceiling amount of pay-out to PIA is INR1700 per candidate. RPL at Centres: RPL is conducted at designated training centres. This delivery channel is more suitable for candidates who are desirous of participating under RPL during weekends. RPL at Centres acts as an effective way to function as a walk-in centre for obtaining RPL certification. A pilot was conducted under PMKVY wherein targets were approved to PIAs to conduct RPL in approved PMKKs (Pradhan Mantri Kaushal Kendras). Ceiling amount of pay-out to PIA is INR1600 per candidate. RPL with Best in Class Employers: This mode of RPL focuses on flexible and direct collaboration with top reputed employers in different sectors through Sector Skill Councils. Sector Skill Council functions as Project Implementing Agency in this mode. The aim is to put the top employer in the center of the activities, and extend the NSQF certification to the large uncertified workforce existing across employers in various sectors. The proposed projects in this mode looks to utilize Top chef/ Departmental Head/ Supervisors/Workshop Managers/Senior Supervisors/Master Trainers of employers as 'Employer Assessor'. It is required that these undergo orientation on assessment by SSC as per NSQF standards. RPL in this mode intends to encourage organized sectors of the economy, and bring more objectivity by favouring online methods of assessments (preferable). Pay-out to PIA in this mode is INR500/ 800, as per guidelines. No pay-out to employer is proposed. 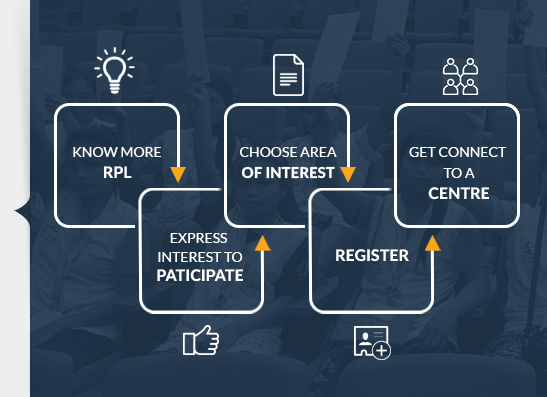 If you are interested to participate in RPL at Centres, you may express your interest by clicking on the 'Interested to participate in RPL' button given below.